Halls Refresh & Fuzzy Bath Robe/Slippers Giveaway! So I was sent in the mail and asked to review Halls Refresh Drops courtesy of Mike Pampalone. (thanks, Mike!) 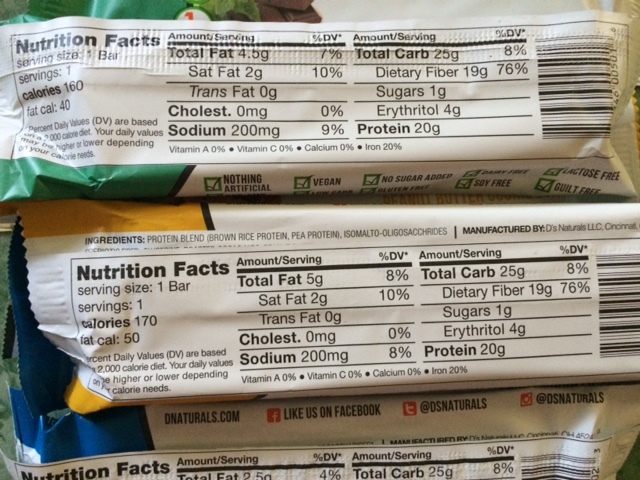 Halls are not all natural and are sweetened with artificial sweetners, but I decided to do the review anyway. 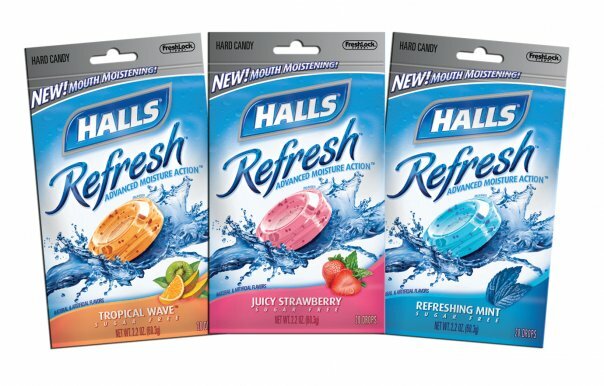 Halls typically makes Cough Drops- but the new Refresh drops are not for a cough, but to moisten and refresh your mouth. They are sugar-free and diabetic friendly, and come in 3 flavors Juicy Strawberry, Tropical Wave, and Refreshing Mint. I was sent the Juicy Strawberry and Tropical Wave flavors to try. Each Drop is 6 calories, and 3 grams of carbohydrates. 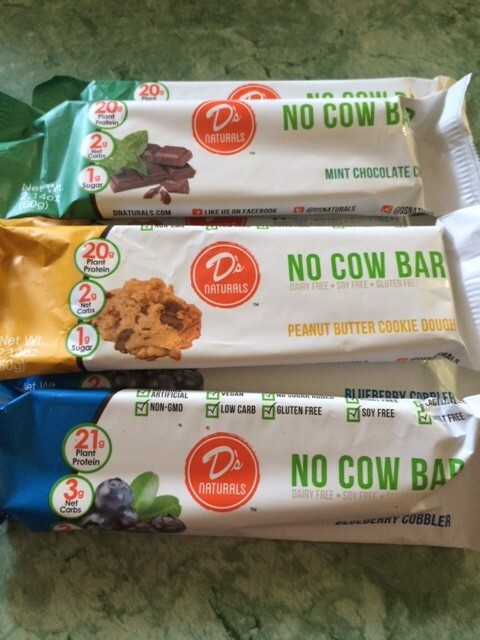 No fiber, fat, or protein. Isomalt; Less than 2% of: Acesulfame Potassium, Beta Carotene, Blue 1, Blue 2, Natural and Artificial Flavoring. Isomalt; Less than 2% of: Acesulfame Potassium, Beta Carotene, Blue 1, Blue 2, Natural and Artificial Flavoring, Red 40, Soy lecithin, Sucralose. Want to win a Halls Bath Robe & slipper gift set? One lucky winner will recieve a white bath robe with the Halls logo on the right hand pocket and set of slippers. All you have to do is…. 1. Add me to your blogroll/google reader/ anything you have. Leave a comment telling me you did so. 2.leave a comment answering one of two questions posted on YESTERDAYS post. ———> A. Do you know any all natural/organic puddings? ———–>B. What’s your favorite snack before bed? That’s it! The contest will run until Sunday Night, December 27th 2009. Hurry up & WARM UP 🙂 !! 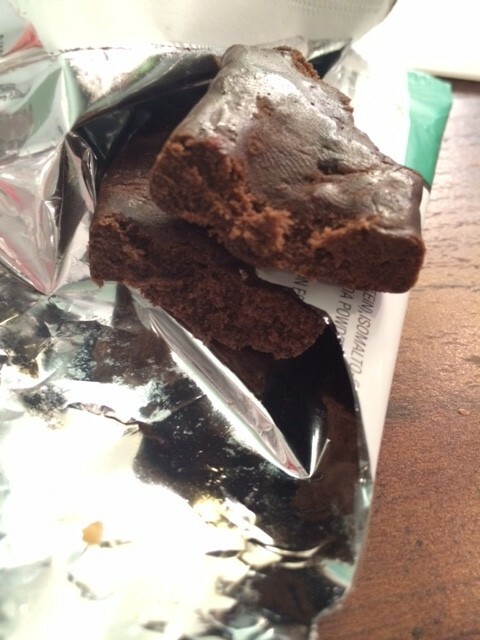 Chocolate Truffle– This cookie fooled my taste buds into thinking it was eating atruffle. It is sooo moist and crumbly, almost a buttery texture. It was sweet, with a deep chocolately taste. 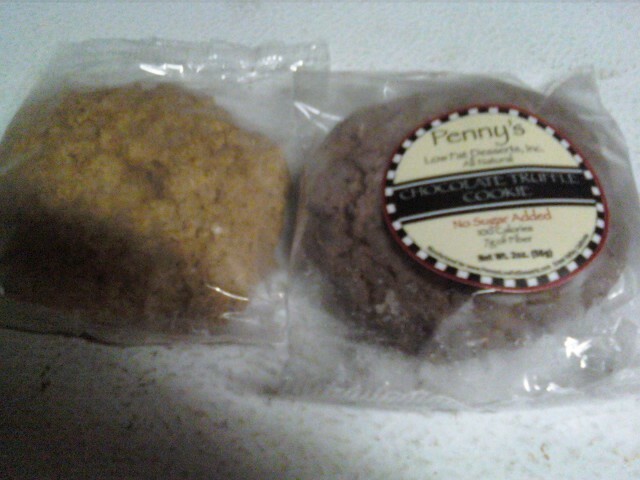 The outside rim is slightly lighter in color than the rest of the cookie, and is the sweetest and softest part of the cookie. It’s so hard to believe there isn’t any sugar in this- it’s AMAZING. It was satisfying and filling too, with the 7 grams of fiber.